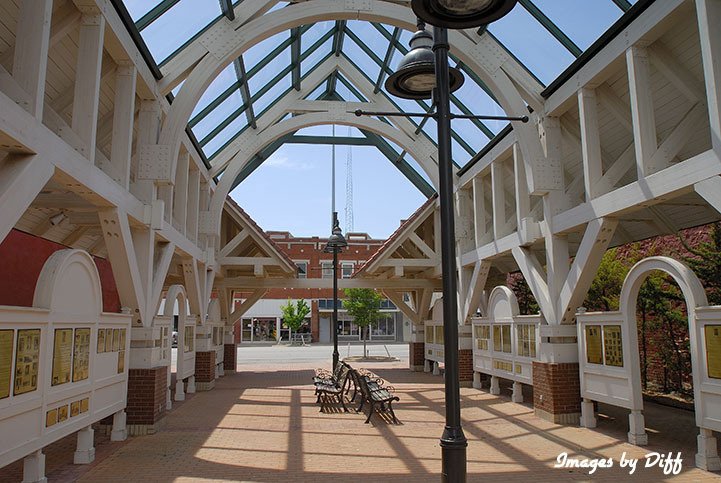 click photo to enlarge The picture to the left is in Bristow Oklahoma. 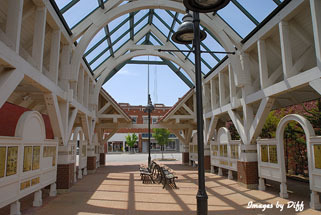 It was really hot and I got off and wandered around the old resorted Santa Fe train depot but did not see any people anywhere. Heh, they must have been smarter then me and were out of the heat. click photo to enlarge OMG, as I rolled into Stroud and came across the Rock Cafe where I planned to have lunch the place was burned down. 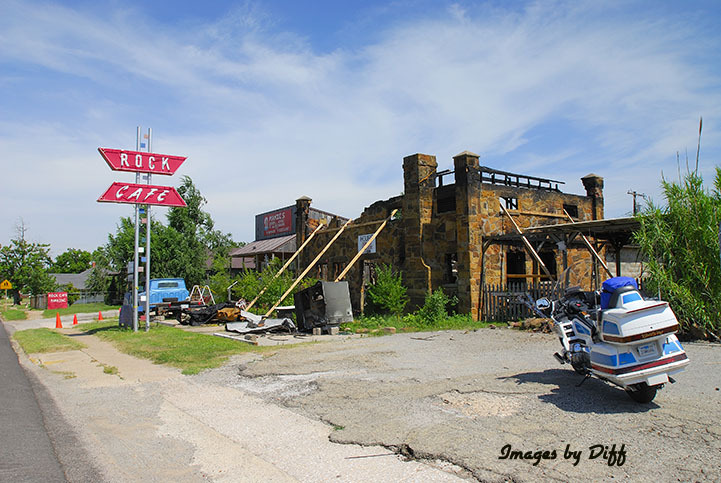 The rocks used to build the Rock Cafe came from rocks that were dug out to pave Route 66. It turns out it had burned down 3 weeks before I arrived. 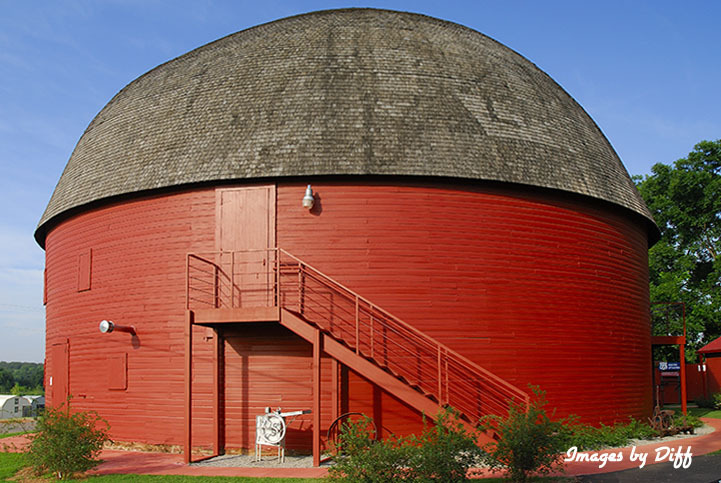 It is a historic landmark on 66 and has been serving people since 1939.
click photo to enlarge The Arcadia Round Barn was built in 1898 and restored in the early 1990s. Unfortunately for me I was going past it about 9:00 AM and it did no open until 10:00. 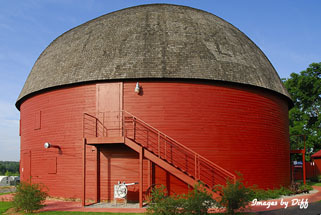 The barn was built round to withstand the high winds in Oklahoma from tornadoes. 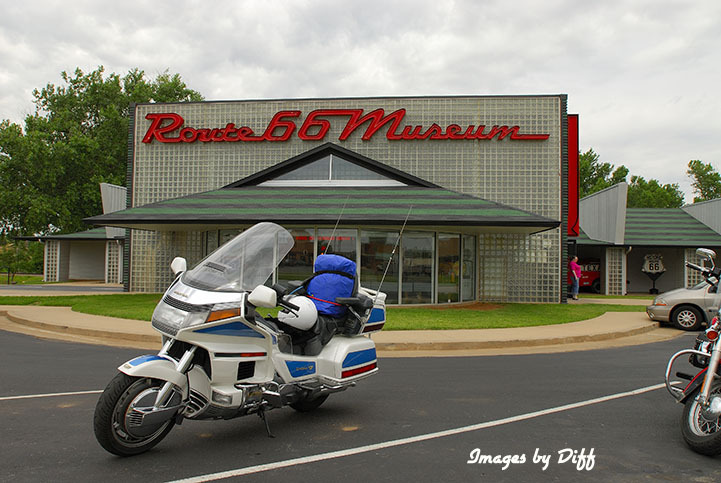 The Museum below is in Chandler Oklahoma. 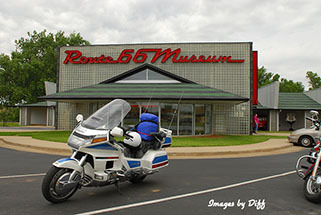 It is a wonderful museum with each room dedicated to a different decade of route 66. 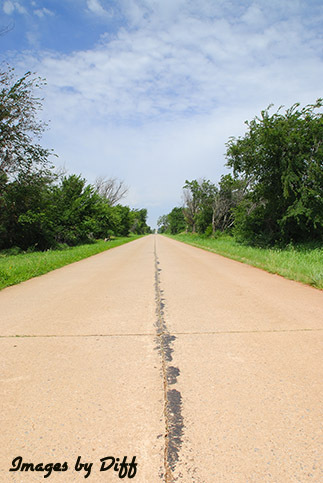 In order to take the road shot below I had to pull to the side of the road and the road was very narrow. There was no traffic but as soon as I got in the middle of the road to take this of course somebody had to come up behind me.